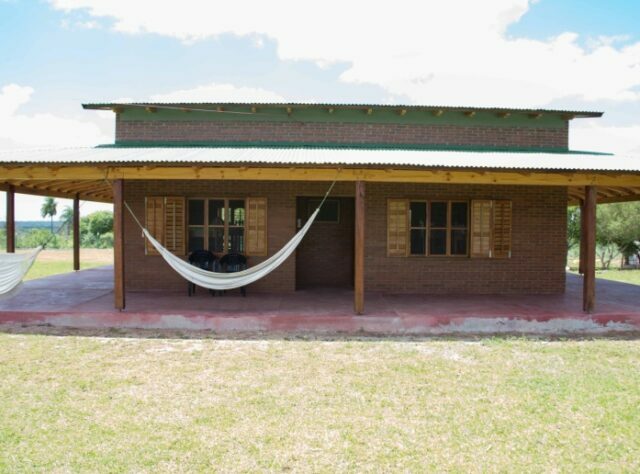 The new Kangüery visitor centre in Paraguay’s Guyra Reta Reserve has opened, a year after the original building was destroyed by fire. In October 2012, the Kangüery visitor centre was burned to the ground in an arson attack that shocked the international conservation community. Although no one was harmed, the rangers were badly shaken by what was generally believed to be an act of intimidation by illegal loggers. The visitor centre forms part of the Kangüery field station, which lies in the heart of the Atlantic Forest of San Rafael. 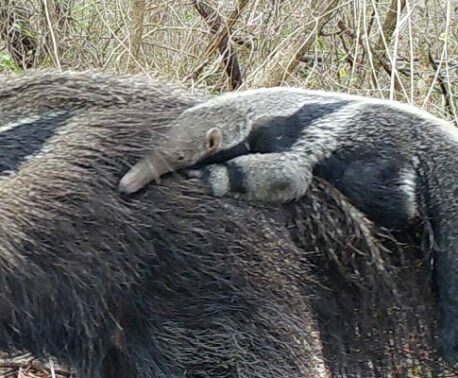 The field station provides facilities for visitors and researchers, and acts as the administrative hub for the Guyra Reta Reserve, which is owned and protected by Guyra Paraguay, World Land Trust‘s (WLT) conservation partner in Paraguay. Following a concerted fundraising effort during 2013, the new visitor centre was inaugurated in December 2013. It provides accommodation for 12 people and resources for visiting tourists and researchers. The reconstruction was made possible thanks to generous donations from international conservation organisations including WLT. In total WLT donated nearly £7,000, and a large proportion of WLT’s overall donation came from readers of The Times, who responded generously to an article written in October 2012 by Simon Barnes, journalist and WLT Council member. 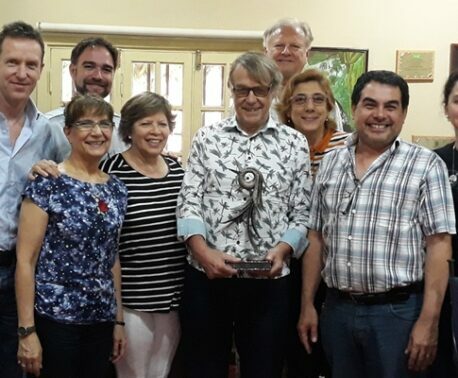 “We are grateful to all donors in particular World Land Trust, the Conservation Fund of Paraguay’s Tropical Forests and WWF Paraguay, whose support and trust has enabled us to continue conserving this important site and to support resident and neighbouring communities within the protected area,” said Alberto Yanosky, Executive Director of Guyra Paraguay. Named Kangüery after the nearby river, the visitor centre is located on high ground overlooking a vast expanse of grassland. It offers spectacular views of the area, and excellent opportunities to see birds and other wildlife. The visitor centre has a small library, study collections of reptiles and amphibians, and field guides to explore the nearby forest trails. The first group to use the new facilities visited at the end of November. In their excitement at being the first to stay there, the visitors were more than happy to help assemble the new beds! During the visit, the group recorded more than 40 species of birds – both grassland and forest species – including Blue Manakin (Chiroxiphia caudata), Long-tailed Potoo (Nyctibius aethereus), the Black-crowned Tityra (Tityra inquisitor) and Surucua Trogon (Trogon surrucura). The reconstruction was completed on 23 November and the official opening took place on 11 December 2013. You can support conservation efforts in the Atlantic Forest by donating to WLT’s Action Fund and specifying Paraguay in the comments box.